(Bloomberg) – Some of the mining world’s top executives are starting to plan their departures, driving speculation about who will lead their companies into the next decade. The changing of the guard raises the prospect of a strategic shift, as the industry searches for ways to enthuse investors after a belt-tightening era characterised by asset sales and cost control. Here, based on conversations with executives, investors and industry decision makers, are some of the key names to watch. 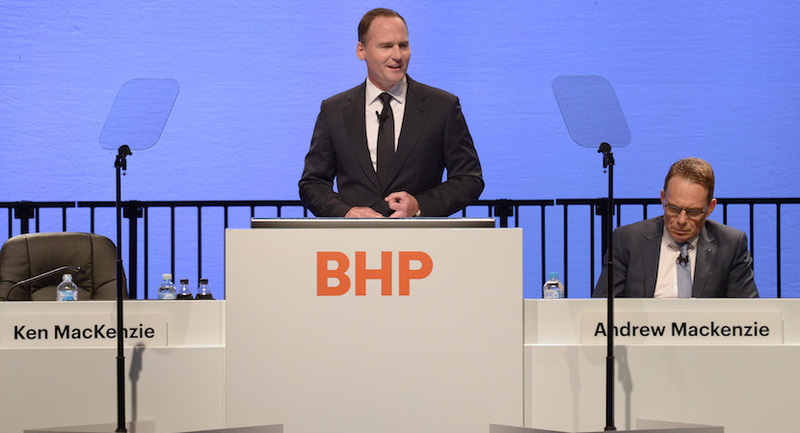 There has been near-constant speculation for years around the future of BHP Group CEO Andrew Mackenzie. By 2017, the chatter was so loud that the new chairman’s first meeting with the press was preceded by a statement backing his CEO. Now, it seems that BHP is ready for a change. Mackenzie, 62, could make an exit in 2020, by which time he would have held the job for seven years. That could be announced as soon as this year, according to people familiar with the company’s thinking. BHP Chairman Ken MacKenzie — no relation to the CEO — favours an internal hire, which he views as less risky. The current internal front runners are Peter Beaven, the chief financial officer, and Mike Henry, head of the company’s Australian business that includes its giant iron ore operations, according to the people. Beaven, who was born in Portugal and grew up in countries including South Africa, is an accountant by training and has held the number-two role since 2014. The former banker routinely leads meetings with investors and media. He previously ran BHP’s copper business, which includes Escondida, the world’s largest copper mine, and advised the company on its 2001 merger with Billiton Plc while working at UBS Group AG. Canadian-born Henry joined BHP in 2003 from Mitsubishi Corp. and led the marketing division and coal operations before being appointed to his current role in 2016. Henry has built a public profile leading BHP’s opposition to proposals for a new tax on iron ore production. Other internal candidates will likely include Arnoud Balhuizen, who runs the company’s commercial operations from Singapore, and Daniel Malchuk, who heads the Americas business. Gary Goldberg, the outgoing CEO of gold producer Newmont Mining Corp. and a former Rio Tinto Group executive, is likely to be assessed as a prospective external candidate, one of the people said. Goldberg plans to exit Newmont once its purchase of Goldcorp Inc. and the integration of the two companies is complete, probably in the fourth quarter. Ivan Glasenberg for the first time put a timeline on his exit from the top of Glencore Plc, telling investors in December that he planned to retire in three to five years and was actively looking for a successor. The brash South African all but ruled out his closest lieutenants, saying the next chief executive should be about 45 years old at the time of the succession. That points to potential candidates such as Kenny Ives, 42, head of nickel trading; Gary Nagle, who was promoted last month to run coal mining; and Nico Paraskevas, who was elevated to run copper trading in the same reshuffle. All are in their early forties, with Nagle and Paraskevas turning 44 and 42 this month respectively. Still, Glasenberg, 62, seems determined to keep the market — and Glencore’s staff — guessing. He said that not all of the three to four front-runners for the job were currently running business lines at the company, suggesting that Glencore-watchers will need to keep a close eye on promotions over the next year or two. Anglo American Plc’s Mark Cutifani has held the role since 2013 and navigated the century-old miner through one of its most traumatic periods. The company was on the cusp of collapse during the 2015 commodity crisis and scrambled to survive by looking to sell half its mines. Since then, a rebound in prices and a lot of self-help measures have put it back in a position to grow. Cutifani, 60, has told the board that he will stay until at least 2021. After that, succession is likely to become a more pressing issue. Duncan Wanblad is currently seen by company insiders, investors and analysts as one of the most likely internal replacements. Finance Director Stephen Pearce, an Australian like Cutifani, is seen as another frontrunner. Current De Beers CEO Bruce Cleaver, who preceded Wanblad as head of strategy, is also likely to be in the frame. Job: Head of strategy and business development at Anglo American, South African Wanblad was made head of business development in early January, relinquishing control of base metal operations. The move will see him spend more time in London with other senior managers, where he sits in an office next to the company’s chairman. Wanblad was also a frontrunner to be CEO of De Beers in 2016 until Anglo’s partner, Botswana, insisted on someone with diamond experience. Job: Finance director at Anglo American Pearce relocated to London in 2017 to take the number-two job at Anglo. He previously held the same role at Australian iron-ore miner Fortescue and has a bachelor of business from Royal Melbourne Institute of Technology. 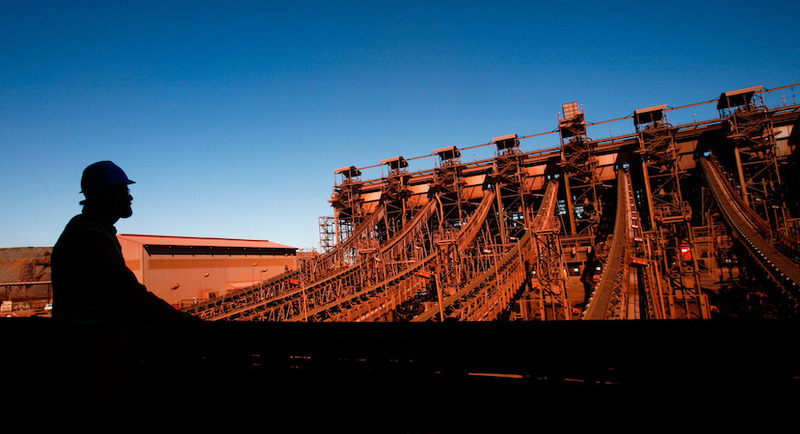 There is, however, little sign of change coming at number-two miner Rio Tinto Group. Jean-Sebastien Jacques has been CEO since the middle of 2016, when the company’s chairman talked about giving his new appointee a 10-year mandate. He succeed Sam Walsh, who served just three and half years after being brought in to steady the ship after a slew of failed deals by predecessor Tom Albanese.